The artwork for our forthcoming Main Range trilogy can be revealed today. Jessica Martin returns as the punk werewolf circus performer first seen in 1988's Doctor Who TV episode, The Greatest Show in the Galaxy, opposite Sylvester McCoy's Seventh Doctor. 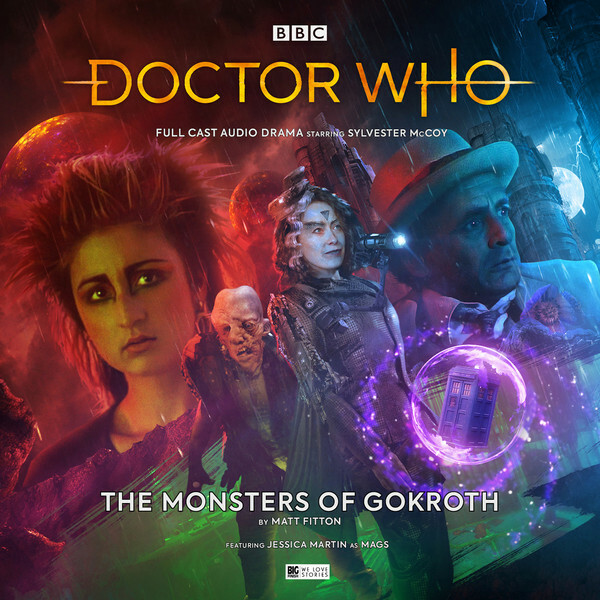 Out for release this April, Mags and the Seventh Doctor are reunited in the positively gothic The Monsters of Gokroth, written by Matt Fitton. In the second release of the Mags trilogy, we’ll be returning to Mags’ homeworld of Vulpana in The Moons of Vulpana written by Emma Reeves. 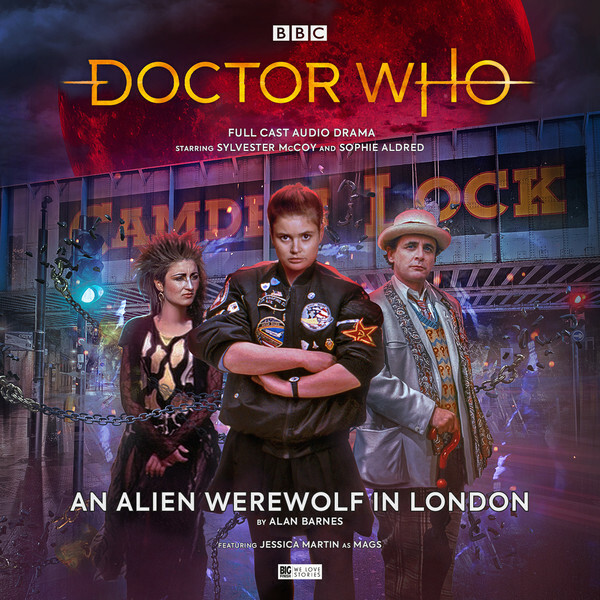 And in the final tale of the trilogy, the Doctor and Mags are reunited with companion Ace played by Sophie Aldred, in one of the most dangerous locations in the galaxy in An Alien Werewolf in London by Alan Barnes. Script editor, Alan Barnes, told us more about bringing back Mags as a fully-fledged companion: “When we first met Mags the werewolf in The Greatest Show in the Galaxy, she was the travelling companion of another space adventurer, the Captain. She was such an engaging character that it seemed unfair that she didn't go off with the Doctor in the TARDIS at the end, it would have been so 'right', dramatically speaking. It would have opened up some really interesting story possibilities, too: how would it work, having someone who might turn into a savage beast as a companion?! These three releases will be the last Alan is involved with as script editor after working on the Doctor Who Main Range for the last five years. His work has been amazing and he will be missed! The Monsters of Gokroth, The Moons of Vulpana and An Alien Werewolf in London, will each be available at £14.99 on CD or £12.99 on download on their release in April, May and June 2019. All CD purchases unlock a download option via the Big Finish app or the Big Finish website. Or why not save money by getting a subscription to the Doctor Who Main Range. When you subscribe you'll get 30% off the price, free specially recorded Short Trips stories, PDFs of the scripts, and extended downloadable extras. You can subscribe for either 6 or 12 releases.